To help you stay ahead of industry trends, our leadership team is always looking to the future. Our strategic priorities focus on expanding speed and efficiency, data availability, core feature build out, and deploying innovative guided analytic solutions – all to help you keep ahead of the changing marketplace and priorities. 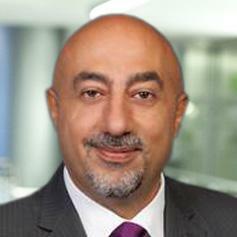 Mohamed is the Chief Executive Officer of HDMS. He has more than 25 years of experience in the healthcare industry, with a strong background in population health, medical management, pharmacy benefit management, clinical informatics and cost management programs. Previously, Mohamed was Vice President of Provider Transformation at Aetna. He focused on population health management and helping providers transform their care delivery to achieve the “Triple Aim” by improving quality of care, reducing unnecessary cost and enhancing member experience. Prior to joining Aetna, Mohamed was a Principal in PwC’s Health Industries Advisory practice where he lead the population health strategy and service offering for health systems in the metro NY area. He also provided consultative services to various payers and health systems to develop and execute successful population health strategies. He was also a Vice President of Medical Management and Chief Pharmacy Officer at EmblemHealth, where he was responsible for all medical management and pharmacy benefit operations at the plan. Mohamed oversaw the development and implementation of medical policies as well as the execution of the utilization management, case management and disease management programs. He also worked with various health systems and physician groups in NY on value based care models to improve the quality of care and reduce waste. Mohamed was also responsible for the informatics function, as well as the cost management program. He also led the care management and pharmacy operation at Horizon Blue Cross Blue Shield of NJ. Mohamed is a physician by training and received his MBA from St. Johns University in NY. 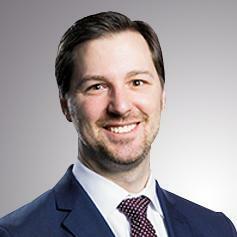 Matt Asmus is Chief Financial Officer (CFO) at HDMS. He has more than ten years of health care experience, ranging from finance and accounting functions to medical economics. He has a strong background in managed care organization financial and operational management, and specialty is in reimbursement arrangements, value-based contracting and new business growth. As CFO, Matt is responsible for oversight of financial operations, service pricing, organizational profitability as well as financial planning, reporting and analysis. Before his current role, he was an enterprise planning lead, where he managed the budget for the organization and led financial strategy and planning discussions. He also led a financial department at HealthFirst which focused on risk-pool performance improvement for local health systems taking risk on their member populations. Leveraging complex workgroups, his team drove improvements in both member health as well as physician reimbursement. Matt received his Bachelor of Arts degree in Financial Economics and his MBA, both from Binghamton University in New York. 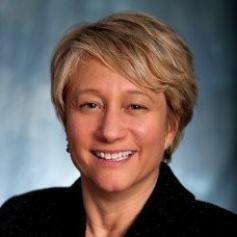 Marilyn Schlein Kramer is Senior Vice President of Customer Experience at HDMS. She has first-line responsibilty for all customer-facing activities. 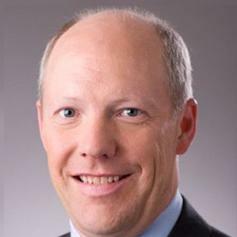 Mark Magnuson is Vice President and Chief Technology Officer at Health Data & Management Solutions, Inc. (HDMS). He has more than twenty years of operational, application development, and management leadership experience in the healthcare informatics industry. 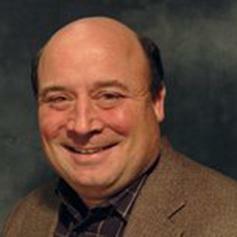 Prior to joining HDMS, Mark was a Vice President at Solucient, L.L.C. where he directed the operations and application development activities for the Managed Care division. He has also served as a Principal at William M. Mercer in the National Healthcare Analysis Unit, directing the development of the CHAMP product which was used by both clients and local Mercer offices. Mark has designed and implemented operational procedures and practices for collecting and processing healthcare data in ways that maximize the value of the information for data analysis. He has also contributed to the development of the first national data warehouse in the Worker’s Compensation market that integrates policy, claims, payment transaction, and medical detail from more than 40 national insurance companies nationwide. Mark received his BA in Computer Science from North Park University in Chicago, Illinois. He is a Fellow of the Life Management Institute, Life Office Management Association (LOMA). Keith Wilton is the Vice President of Product Management. He has over 15 years’ experience in Product Management with an emphasis on creating and deploying complex software applications. 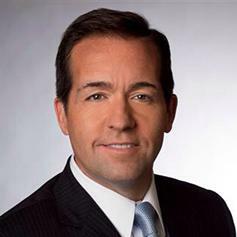 Keith joined HDMS in March 2016 after serving as Vice President of Product Management at Backstop Solutions, a leading player in the Alternative Investment space. Prior to Backstop, Keith ran product management for an arm of Morgan Stanley, and for other organizations. Keith received his Bachelor of Science from the University of Illinois Urbana-Champaign. Pamela Fowler is Vice President, Marketing which includes responsibilities for corporate marketing, product marketing and communications. Pamela’s career spans over 25 years including more than 18 years in Health IT. Recently, she was Vice President of Marketing at Aptus Health (Merck), a company providing digital engagement and analytics to global life science and provider companies. Prior to that assignment, she was Global Healthcare Evangelist at CA Technologies where she developed the corporate healthcare strategy, vision and product offerings. Pamela has had executive leadership positions in sales, marketing and delivery at HP, Coopers & Lybrand/PwC and Medicalogic/GE Healthcare. Pamela earned a Bachelor of Arts from Brown University, a Masters of Business Administration from the Thunderbird School of Global Management and attended the Continuing Professional Education Program at Harvard School of Public Health. 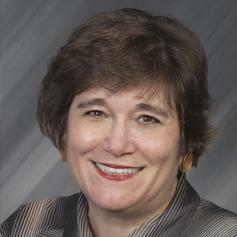 Pamela was a Board of Trustee for six years at Northwest Hospital/UW Medicine (Seattle) and on the Advisory Board for State of Washington’s Health Insurance Exchange. Rob has over 30 years working with health plans, benefits administrators, self-funded employers and healthcare providers as a senior executive and strategy consultant to successfully execute new product launches, financial management and strategic growth initiatives. Rob’s experience spans the continuum of healthcare stakeholders working with Advocate Health, large and mid-size self-funded employers’ to design benefit plan strategies at CoreSource, Coventry, CHAMPUS Tricare and Federal Employee Health Benefit plans, as well as, strategy consultant for BlueCross Blue Shield, Oliver Wyman Health & Life Sciences and regional health systems to launch coordinated care pilots.